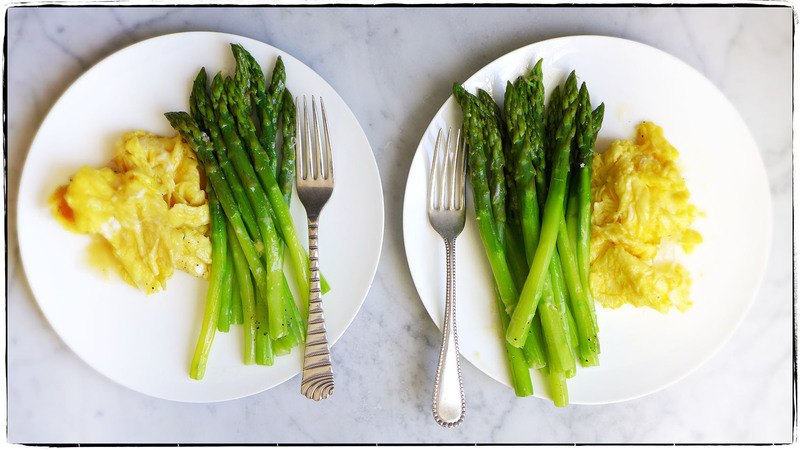 One of our favorite springtime meals is scrambled eggs and poached local asparagus bathed in melted butter. We had a carton of eggs and a couple of bunches of asparagus leftover from Easter. The eggs are local, the asparagus are not (they flew in from California). What the heck? It’s officially spring so that’s what we’re having for lunch today.